Kevork Djansezian/Getty ImagesMelissa McCarthy wakes up at 4:30 a.m. to begin her daily routine. 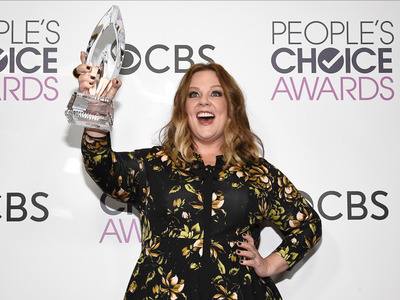 Melissa McCarthy, who earned $US12 million in 2018, is one of Hollywood’s highest-paid women. McCarthy isn’t the only rich person to wake up early; Richard Branson and Mark Wahlberg take an early start to their day, too. Melissa McCarthy is one of the highest-paid women in Hollywood. She went from having major credit-card debt as a 20-year-old just starting her comedy career in New York to earning $US12 million in 2018 at age 47. Today she’s worth $US60 million, according to Forbes. But you wouldn’t know she’s a top-earning celebrity by her daily routine, in which she practically eschews everything related to “being busy” – the hallmark of Hollywood’s elite – in favour of a more “carefully curated day,” as revealed in a New York Times profile by Taffy Brodesser-Akner. McCarthy is hardly the only household name who’s gone on record as waking up before the sun. Richard Branson wakes up at 5 to plan out his day, eat breakfast, and spend time with his family. Mark Wahlberg wakes up at 2:30 for a morning that involves prayer time, two meals, a workout, a shower, and golf, all before 8 a.m. However, McCarthy isn’t trying to maximise her time. As part of her morning, she reads The Los Angeles Times and National Geographic the old-fashioned way – in print. She makes an exception for The New York Times, which she reads on her iPad. The iPad also makes an appearance at night, when she uses it to peruse Pinterest and Etsy while taking a bath. Weekends are for friends and family and involve even more technological disconnect – McCarthy and her husband, Ben Falcone, put their phones aside and have friends over for dinner on Sundays.